Dance conference, Dance, Festival, Sonali, Skandan. Sonali is a passionate and accomplished disciple of Bharatanatyam and one of the more visible artists of the younger generation based outside of India. She is a student of the renowned Professor C.V. Chandrasekhar of Chennai, India. and also receives training from Smt. Bragha Bessell, known for the art of abhinaya (expression). Sonali is currently under the mentorship of Maya Kulkarni to create and explore new and personal works. She has received notable reviews in the New York Times, Financial Times, and The NJ Star Ledger. Noted for her clear and clean technique as well as eloquent abhinaya, Sonali has presented solo and group Bharatanatyam at major dance festivals and venues in the US and abroad, including the United Nations, The Music Academy Madras, Toronto International Dance Festival, the Downtown Dance Festival in NYC, the Erasing Borders Festival of Indian Dance in NYC, the Asian American Dance Festival in San Francisco, CA, colleges and universities around the US, and the many venues during the Chennai Music and Dance Festival. Sonali is the Artistic Director of Jiva Performing Arts, based in NYC, where she teaches and creates engaging music and dance productions to increase the accessibility of the classical arts to all audiences. She is also the Director of Jiva Dance, a professional dance company presenting exciting and compelling works based on the Bharatanatyam idiom. The company has presented concerts in prestigious venues to great critical and audience acclaim. She has also been the recipient of two Lower Manhattan Cultural Council awards as well as four NYSCA grants to further Indian dance and music in NYC, and the one of the first recipient of the Dance/NYC Dance Advancement Fund in 2017. She has also been awarded a CUNY Dance Initiative Residency for 2017 and 2018. Sonali has been the artistic director for several productions including 'Urban Kutcheri', which premiered at Joyce/SoHo in June 2006 and CMAC (2007) and 'Bharatanatyam Margam' which was held at the Lighthouse Theatre in June 2004 and 'Swarupa:Infinite Form' which premiered at the 2011 NYC International Fringe Festival to much critical acclaim. 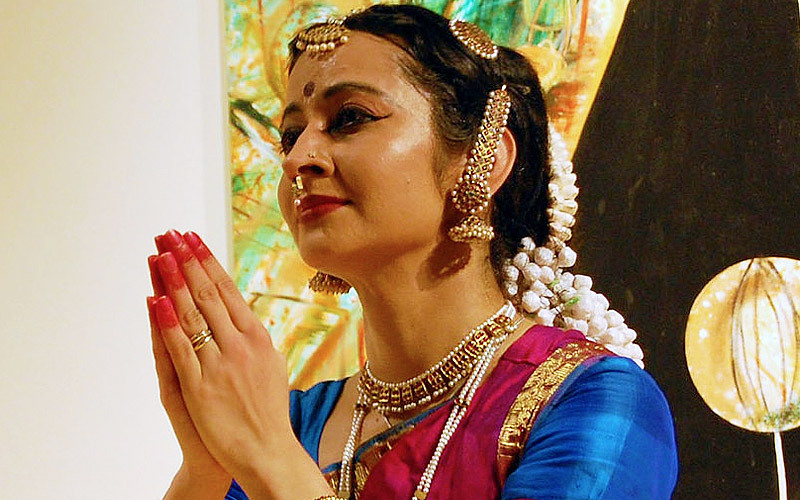 Her latest work,'Mayura:Blue Peacock,' enjoyed a sold out run and great critical reviews, and was the first Indian Classical dance show at New Victory's Victory Dance Series on Broadway. She was commissioned by Sruti in Pennsylvania to choreograph 'Trimurti-Bharatanatyam Odissi and Kathak' for their 25th year anniversary celebrations in 2011. NBC recently featured the company in their NBC Learn program online, in a segment titled,'Bharatanatyam in the Modern World.' Jiva Dance's first dance film short, 'Urban Nritta,' created and conceived under her direction, was an official selection in the 2017 NY Indian Film Festival. As an educator, she has given lecture demonstrations and workshops in museums and schools throughout the NYC area. Sonali is the first faculty member to teach Indian Classical Dance at the internationally acclaimed Joffrey Ballet School. 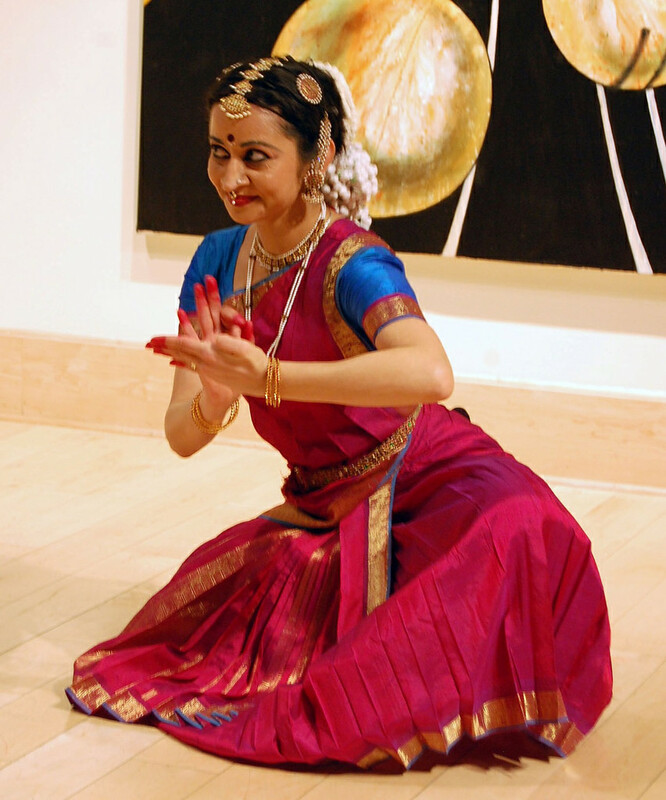 In addition, Sonali was on the dance faculty at Sarah Lawrence College to teach Bharatanatyam. She uses her experience in teaching to develop engaging and enriching lecture demonstrations and workshops for professional dancers, students and teachers. Sonali also just finished taping Bharatanatyam lessons for Juilliard's new online educational program which will be released soon. Artist Statement: My vision is to create work that expresses the evolving nature of Bharatanatyam. My work reflects centuries of technical refinement in the art as it has evolved from temples to the modern theatre and possesses a forward-thinking attitude with the goal to present the art to universal audiences regardless of language or religious background. I emphasize the creation of new art and collaborate with living composers and interdisciplinary artists to affirm the Indian classical arts as a dynamic, evolving form. My solo works also reflects my own personal connection with the art and its universal expression of human emotion.